Competence – Sarah Summers from our Castle Donington branch! Sarah always goes above and beyond in every aspect of her job. The branch has continuous compliments from service users and their families due to Sarah’s caring and compassionate nature. Communication – John Bradley from our Clacton branch. John was nominated as, despite a conflict of interest, he followed the correct company policy and procedure to report a concern. Care – Debbie Gates from Gateshead! Debbie was nominated because she is kind, respectful and will do everything thing she can to help our service users. She treats everyone the same and will help anyone if she can. Commitment – Jayne Voss, from our Prescot branch! Jayne was nominated because she is always prepared to go above and beyond her duties in order to provide a consistently good service. Both clients and staff alike benefit by her relentless drive to promote happiness and contentment. Courage – Gemma Daley from the Bolton branch. Gemma arrived at a service user’s home to find her unresponsive and extremely poorly. Gemma provided emergency CPR to the lady for 30 minutes until the ambulance came. The service user sadly passed away later although, because of Gemma, the family were all able to say goodbye properly. Gemma really is an asset to the team and I am so proud of her for all she did at this sad time. The ambulance crew also praised Gemma for her quick thinking. A massive Happy Birthday to one of our Liverpool Coordinator Charlotte, who recently celebrated her 21st birthday!!! 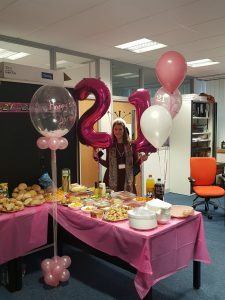 Her Prescot work family threw her a special birthday buffet! Last week we submitted our bid for the re-tendering of the FME contract with Lancashire Police, and we are very confident that what we have offered is a very compelling solution that looks to meet the demands of the shifting requirements in custody. We are in a very strong position, we have proved our proficiency and professionalism through our continued high performance evidenced by our performance reports and extremely positive feedback from HMIC inspections; this coupled with an innovative bid will place use right up there in terms of being a credible provider. A big thank you to the Lancashire FMEs & HCPs for their continued hard-work and commitment; this was hugely relevant in evidencing our pedigree in being able to deliver the level of service wanted by Lancashire Police. 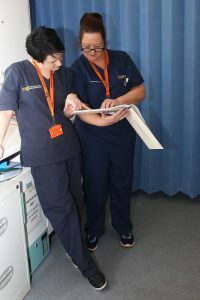 A big thank you to those staff members on the UKBF contract who have offered to provide additional time to the contract to ensure that CRG continually maintains the high standards of clinical auditing and compliance. Your dedication is very much appreciated. The following new starters are warmly welcomed to CRG Medical Services as they commence/complete their shadow shifts, working towards being fully operational in the very near future; great to have you on-board! 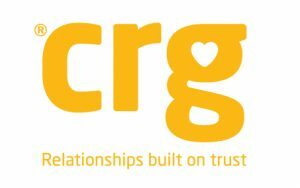 This week saw the start of our staff engagement roadshows in readiness for CRG Medical Services commencing service delivery across Norfolk, Suffolk, Bedfordshire, Cambridgeshire & Hertfordshire Police Forces on the 1st April. These roadshow are an opportunity to meet and welcome the existing staff on these contracts who will join CRG on contract ‘Go-Live’. (More on the roll out of these contracts as we approach the 1st April). The award of these contracts has significantly increased CRG Medical Services portfolio of FME/SARC services to the Police, coupled with our contracts with UKBF and HM Prison Service (HMP Chelmsford & Altcourse; places us in the very forefront of these sectors. 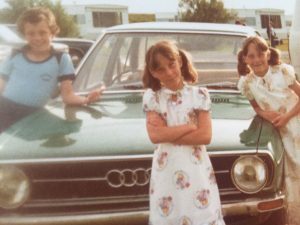 Having worked in recruitment for 10 plus years, I would have considered myself an old school recruiter and that the phone has been my most powerful tool – and always will be. However, over the past 10 years, social media has changed the way we communicate and connect with people, with LinkedIn having a big impact on recruiters – so I thought I had better get involved. Initially, I had a very basic profile, connected to a few hundred managers and only rarely posted anything. A few years ago, I had a consultant join my team, who was bit of a “wizkid” on LinkedIn; had thousands of connections with candidates, posted every day and saw the benefits in tangible placements. I was lucky enough, to have this consultant show me the ropes of LinkedIn and I found it to be very user friendly, once you know how to use it. From here, I added a more professional photo, added more details of what our team does now and what I had done in the past – but leaving my ego for the sales floor and not all over LinkedIn! I then got the app on my phone, as you can add as many connections as possible via the app – and before I knew it, I had 3000 mental health professionals in my network. I was up and running and posting jobs daily; getting the odd response but nothing major – so I worked on my personal branding, meaning potential candidates could see I was human, fairly caring and not just a recruiter trying to make money. I went about this by posting articles about the mental health sector and a few selective – but relevant and targeted personal posts: e.g. It’s great to be back after Christmas break and spending time with my wife and family etc. I now post jobs every day; I try to always add a picture – e.g. If I have a job in Devon, I will add a pictures of a beach; if I meet with a candidate, I will add a picture of us together – and I am now getting fantastic results. Most recently and only last week, a Manager of a CAMHS team in Essex contacted me on the Friday to see if I had some available candidates, I then posted that job via LinkedIn and a suitable candidate messaged me, CV sent and I am just in the process of arranging an interview. In addition to the above example, I have made numerous placements through my LinkedIn engagement and using LinkedIn has been really helpful and crucial to get the HCL Mental Health brand out into market. I am not on Instagram or Snapchat yet, but sure enough I’ll be posting jobs on both before I know it! 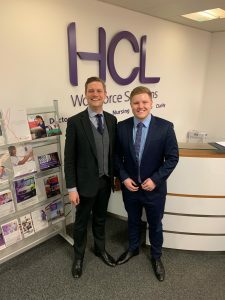 When I first started at HCL I had a LinkedIn page but I never really used it and I only had 50 connections! I never really believed LinkedIn was a good recruitment tool until Greg really drilled it in to me that it has major advantages to expanding my book and pipeline. So I took his advice and I typed in ‘CAMHS Practitioner’ and ‘Community Psychiatric Nurse’ on the search bar and selected the people tab and spent ages just going through adding as many people as I could and within a week I had 700+ connections – I was hooked! I was sat in the canteen eating and would be adding people, I then did the same on the train on my journey home – I even remember watching a Christmas film with my family and I was sat there adding people. Within a month I had 2000+ connections and I was posting 3 jobs a day on average! Yes, I appreciate this could be quite irritating seeing my name every time you go on your LinkedIn page. However, that was what I wanted! A nurse to know in the back of their head that Peter Gordon from HCL is always posting about mental health jobs so let me see what he has going. This has really paid off as I frequently get top class candidates message me and email me looking for a new post. This proves that my own personal brand within the mental health sector is reaching out and people are getting to know who I am. Once you are connected with these people it is then very easy to message them all. I wrote out a message and copy & pasted it to 100 candidates and yes only a few came back – however, one did come back to me and that was the last person I placed in a trust we work with in London. Send us your LinkedIn stories! We want to know how you use it, why you use it, any tips and opinions. Send to unity@hcrg.uk.com. 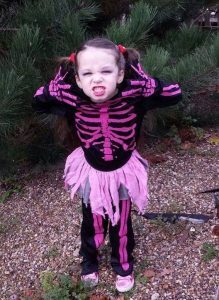 Pictured is Freddie who was five when this photo was taken but she’s now nine. Freddie likes dancing, acting and singing and she belongs to Donna Mills, Divisional Manager of AHP, Old Bailey. Cute! To kick us off, this gem is a photo of a well-known person who mostly works in Old Bailey and happens to be a twin! You’re not seeing double, she’s the one in the middle.